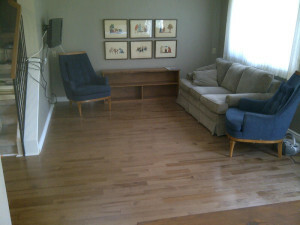 Day 1: Existing laminate flooring to be removed. 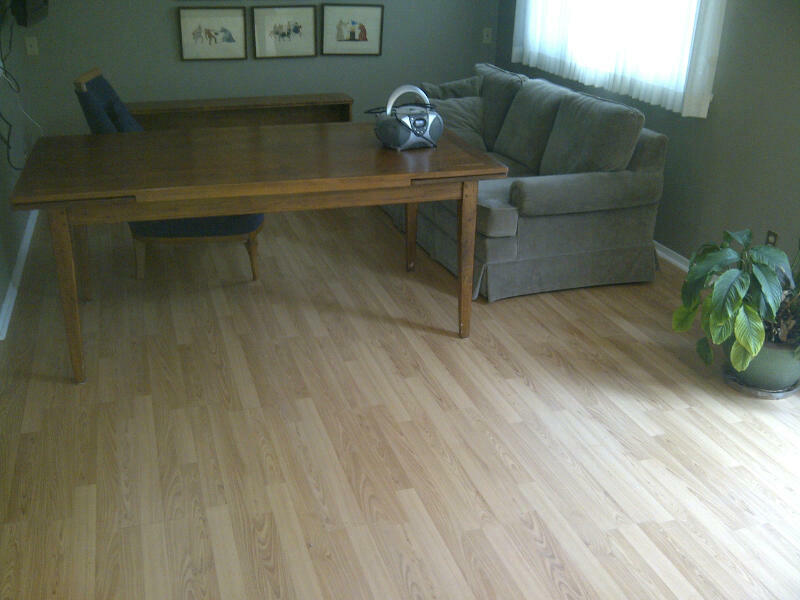 This week we’re renovating at Patricia’s Kanata home to remove laminate flooring and replace it with hardwood. Patricia is a client of designer Sarah Kidder. She’s chosen Fay Signature Maple from End of The Roll, which we picked up last week and delivered to Patricia’s house to acclimatize before installation. do the trim on day 2. End of Day 2 and the flooring is complete. By end of the day Monday, all 250 sq ft of hardwood was down. We’re putting the trim down Tuesday, then posting ‘after’ pics so you can see the effect. 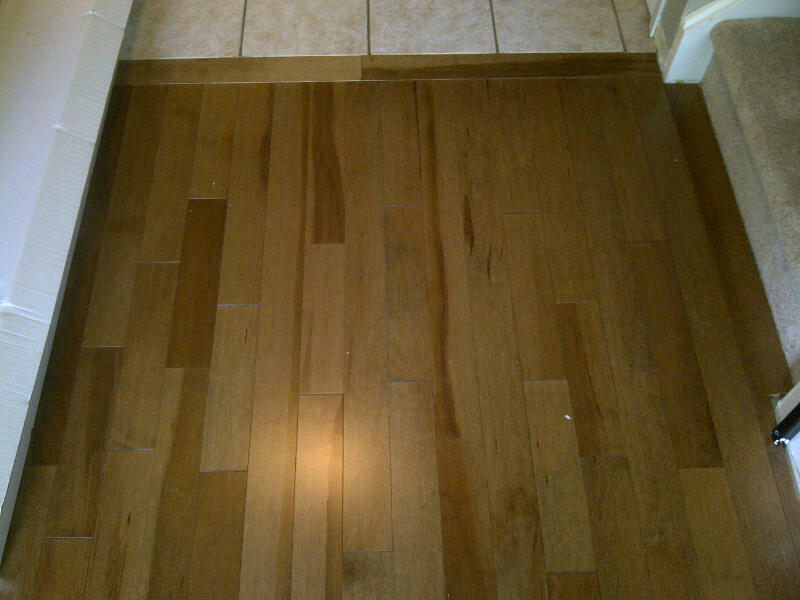 The floor and baseboards (as well as the numbers) look absolutely great. Thank you so much for all of this and for returning the heavy furniture to its right place. You can be assured that I will definitely call you for future projects and will recommend you highly to any friends who need work done.